Roadway fatalities are one of the leading causes of death in the U.S., claiming more than 30,000 lives annually, according to the National Highway Traffic Safety Administration. These deaths are always unexpected and tragic. But they are not always criminal. 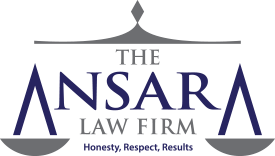 The Fort Lauderdale vehicular manslaughter defense lawyers at The Ansara Law Firm, know many times, violations that might normally elicit a traffic citation suddenly become a vehicular homicide arrest because by chance, someone died as a result. The fact is, any fatal auto accident could result in criminal prosecution against the surviving driver. This is especially true if alcohol was involved. Someone who might otherwise have only been cited for speeding could find themselves facing decades in prison. Judges, prosecutors, defense lawyers and juries often struggle with the question of whether a motor vehicle homicide constitutes a criminal act. In some instances, defendants have no prior record at all, and had no intention of hurting anyone. Each of these require a different proof burden, and prosecutors may only file one charge for each death. So in other words, if one person is killed in the crash, you can’t be convicted of more than one of these crimes. This is sometimes referred to as the “one death/one conviction rule,” as set by the 1985 Florida Supreme Court case of Houser v. State. This was reaffirmed almost a decade later in Chapman v. State, when the court ruled a defendant couldn’t be convicted of both vehicular homicide and DUI manslaughter for the death of a single individual. Manslaughter by culpable negligence involve the death of a human being caused by a defendant who engaged in conduct that shows reckless disregard for human life or the safety of others, or a complete lack of care such that indicates conscious indifference to the consequences. Death of a child pedestrian while defendant, drinking, boasted of the vehicle speed and accelerated down a residential street before hitting the child. Manslaughter by culpable negligence is a second-degree felony, punishable by up to 15 years in prison. Per F.S. § 782.071 is the death of someone caused by the reckless operation of a motor vehicle carried out in a manner likely to cause death or great bodily injury to someone else. To prove the driver acted in a “reckless manner,” prosecutors have to show more than just simple negligence. They need to prove there was a willful and wanton disregard for safety. Death of a 5-year-old pedestrian by defendant driving 60 mph in a 30 mph zone with no obstructions. Increasingly, we are seeing this charge filed when a fatal accident is caused by driver fatigue or distraction. A person who drives sleepy will not necessarily face vehicular homicide charges, but if it can be shown the driver was reckless in failing to get enough rest before driving, such charges are possible. Likewise, while texting-and-driving is not normally a primary infraction, it can result in a homicide charge if prosecutors show it drew the driver’s attention from the road long enough to be a critical factor in a deadly crash. As a third-degree felony, vehicular homicide carries a maximum prison term of five years, barring other aggravating factors that may increase it. In Florida DUI manslaughter cases, proof of simple negligence may be enough to sustain the charge. That is, it’s not necessary to show recklessness or disregard for the well-being of others. Rather, one need only show a death happened while defendant driver was under the influence of alcohol or drugs. That could mean more than 0.08 blood-alcohol content or evidence the driver was impaired by drugs (both legal and illegal). In cases where more than one factor caused the traffic death (i.e., DUI and speeding or speeding down the wrong side of the road), prosecutors will typically file some type of manslaughter charge. If impairment is involved, DUI manslaughter is usually the go-to for prosecutors because it requires a lesser burden of proof.